So, if you haven’t been following this phenom Joshua Ledet on American Idol, you’re missing out. The kid’s got insane pipes, as evidenced this week by his rendition of James Brown’s It’s a Man’s World. 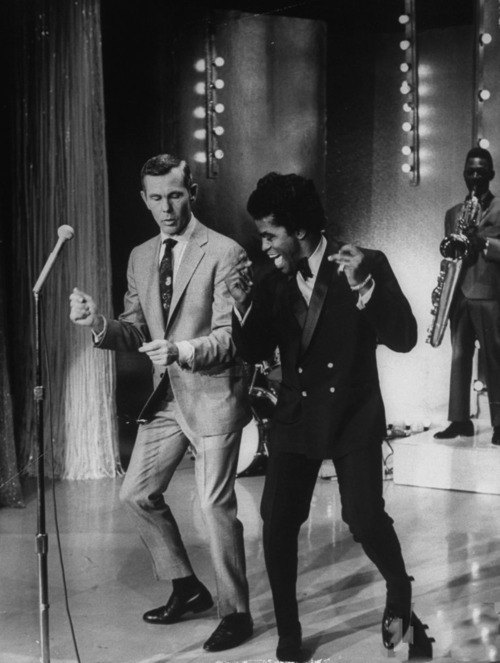 Love this archived photo of the Godfather of Soul showing Johnny Carson what it’s all about.